Sometimes it’s easy to guess why you have a headache – lack of sleep, drinking alcohol, you are tired, sick, etc. But, sometimes is hard to tell why you have it and why is the pain on one specific spot. 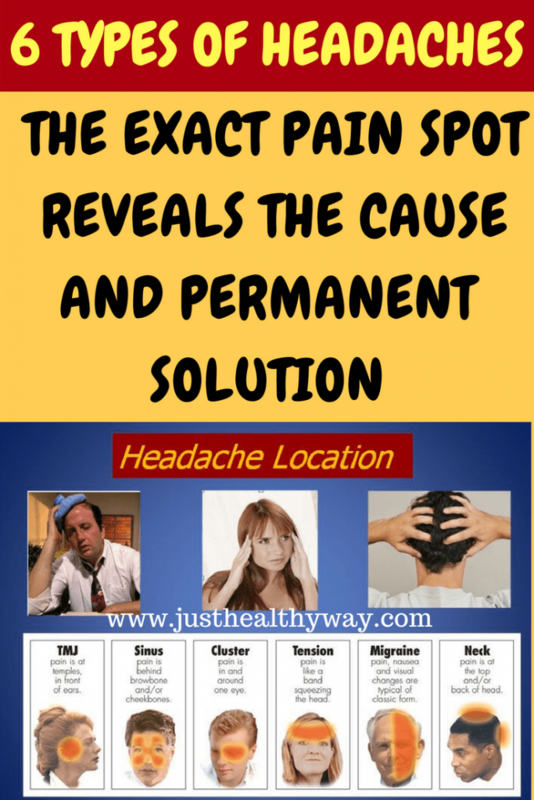 According to the experts, the exact pain spot reveals the cause for headaches and the permanent solution. If your headaches appear early in the morning, you should definitely go and see a doctor, because it can be an early symptom of different diseases, such as brain tumor, apnea, high blood pressure, etc. You should also see a doctor if your headaches are followed by vision changes, digestion problems or mood changes, if you feel a high tension in your neck, if you’re irritated or if you get a headache after you bump your head. Occurs only in one half of the head – according to the experts, this type of a headache is a migraine and it’s not dangerous. But, it can be extremely hard for many people, because it can last up to 72 hours. You can recognize a migraine headache by its pulsating pain of moderate to strong intensity. Sometimes you get nauseous and you are very sensitive to noise and light. You can drink a painkiller immediately after the first symptoms occur, and rest in dark and quiet room. Feels like a tight band around your forehead – a tension headache: you’ll feel like having a tight band around your head. 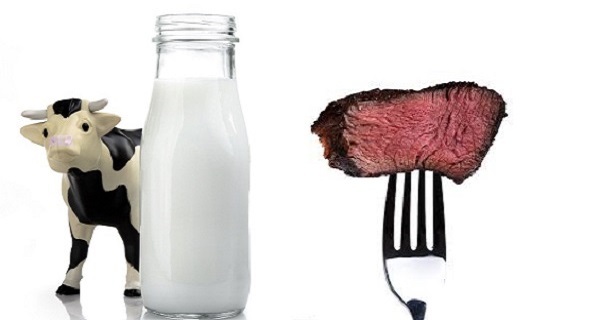 It can cause mild, moderate, or intense pain in your head, neck and behind your eyes. The most common cause for this headache is stress and the best thing for you is to take a nap. Pain in one side of the face, swollen eyelids – a cluster headache: it’s a strong headache and lasts in cycles. People who suffer from cluster headaches get them at the same time each year, such as the spring or fall. A cluster headache typically awakens a person from sleep one to two hours after going to bed. These nocturnal attacks can be more severe than the daytime attacks. Cluster headaches can be more intense than a migraine attack, but fortunately do not last as long as a migraine headache. The pain occurs on one side of the face, and it’s followed by these symptoms: red eye, sweaty face, and forehead, clogged nostrils, swelled eyelids, etc. Note: the experts highly recommend that people who suffer from this type of a headache should move more. Pain in your forehead – according to the experts, this type of a headache is caused by sinusitis. And, one more thing – you can feel a bit of pain on your cheeks as well. A nice steamy shower will help you with this type of a headache, a cause of the steam inhaling. On the back of your head and the crown – one of the main reasons for this type of headaches is spine and back problems. It can “appear” when you sit for a long time. Stand up and stretch a bit, take a deep breath – this will help you out. Pain in your temples – this type of a headache usually appears if someone has TMJ disorder and it can lead to tension headaches. Except for the pain in your temples, other symptoms occur as well, such as pain in your ears and face, difficulty in opening your mouth and you can hear the “click” when you move your jaw. You should see a doctor immediately.